Joe Emery Williams (72) is a white male 5'9, 227lbs with gray hair and hazel eyes. He was last seen wearing a light brown jacket, gray or black pants and red leather shoes. 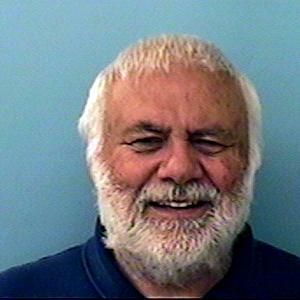 Joe was last seen leaving a Wells Fargo Bank located at Power and Main St in Mesa at around 1030 hrs this morning. He has not been seen or heard from since. Joe has been diagnosed with a mild form of dementia and he has a history of wandering. Joe has high blood pressure and takes medication for his condition. He is believed to possibly be on foot in the Phoenix area. He is known to frequent the CASS shelters in downtown Phoenix as well as the Justa Center in the area of 1000 West Jefferson. Joe's cell phone last pinged in the area of Sky Harbor Airport. No P.C. for arrest. Joe is a missing adut only at this time. Please check welfare and inform Mesa PD of any contact with Joe Williams.